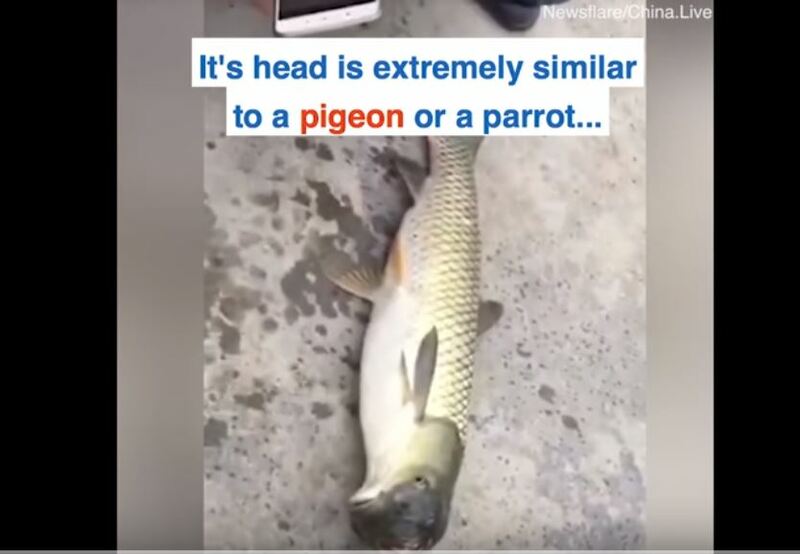 Images of a bizarre fish sporting, what looks to be, the head of a pigeon is raising eyebrows online after it was caught in China. Reeled in by a fisherman near the Chinese city of Guiyang, the creepy looking sea creature looks like a cross between a tuna and a city pigeon. 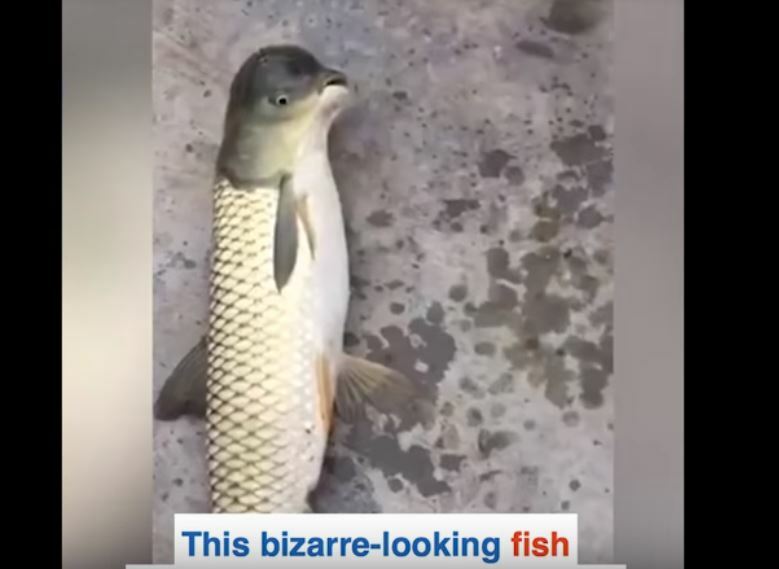 This bizarre fish with a bird-shaped head was caught in Guizhou Province, in China. Many believe it looks like a pigeon or a parrot, others argue it bears more resemblance to a dolphin. However, the, so-called, pigeon head fish could have a scientific reason for its deformed looking appearance. 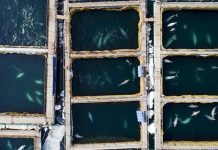 According to a Chinese marine expert, the poor creature may have been deprived of oxygen. 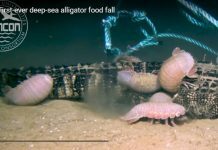 “This phenomenon has been observed during the growth of fish. One of the causes is the damage of fish eggs during embryonic development; the second is a lack of oxygen causes the head to become deformed. 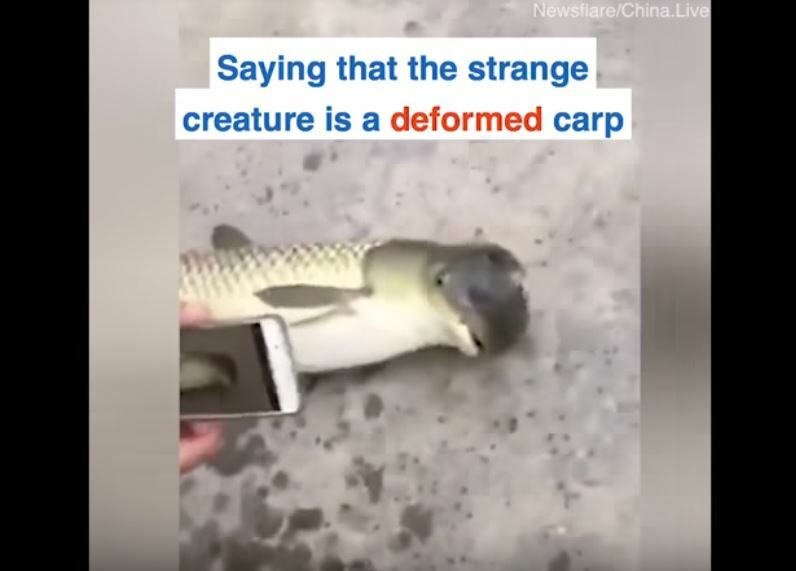 It is a grass carp… but it looks a little weird,” Xing said. Unfortunately, for reptilians or humans with great negative karma, now is the time to clean up for their karma. Their karma might manifest accident, sickness, house fire, and some other misfortune. All kinds of alcohol have been created by reptilian agencies (=corporations). In US, Reptilian politician, John McCain is the main person to distribute beer kind of alcohol. For more than 10 years, I have not bought any kind of alcohol because I don’t very much enjoy drinking just myself, and I would rather pay money for some nutritious food for my familiy. I am for sure that I do not want to contribute even a penny to evil reptilian, John McCain. On the above the video, No. 11 truck load of used shoes looked strange to me. Those shoes were simply donated? Or those shoes belonged to the victimes of human meat processing factory (just like McDonald. Google “Human Sacrifice for McDonald”). No.8 Truck load of animal waste. Those might be human waste from human meat factory. Then No.1 Truck load of human dead bodies can show you “Human meat factory” is really existing on this Earth! In Japan, there is a famous real story about a Japanese young guy was trapped in a human meat factory in St Louis during St Louis Expo. He witnessed a Japanese girl was grinded alive with a huge meat grinder in front of his eyes, but somehow he escaped from the human meat factory. I have checked what “Fireball Whisky” is. Then I have found out the image showing on the bottles is a “Reptilian”. During this vibration shift on the Earth, some people with evil character might become out of control easily. Yesterday or so, I saw Domestic Violence with many police cars and an ambulance near my house. Another negative karma played accident. Many church goers believe if they accept Jesus as their savier, everthing is forgiven. But that is not true. Any kind of religions are part of the 3rd dimensional MATRIX created by reptilian entities. I had a plane to go to south Colorado for camping. But for sure, I do not want inhale too much smoke, nor I do not enjoy the red fire retardant over my head. I might have to find another place to explore. Elon Musk got OK to expand the reptilian secret underground base around downtown Chicago and O’Hare Airport. I do not know what country this terrible landslide happened. I guess in Bangladesh? After the terrible hail storm, on the same parking lot, some of cars were heavily damaged. On the other hand, some of cars were completely intact. The difference is depend on how much negative karma people have. People with positive karma are more protected. During a big wildfire, some houses were completely intact surrounded by the houses completely burnt down to ash.